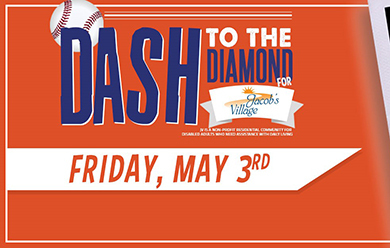 Join us for Jacob's Village Night at the Evansville Otters on Friday, May 3rd! Envision a tri-state community where all people, regardless of age, race, or ability can enjoy a home of their own in a setting that fosters mutually supportive relationships among neighbors, access to services that enable independent living, and social and recreational opportunities that enhance quality of life. Go to https://jacobsvillage.org/ for information on services, volunteer and donation opportunities.